Made of fiberglass with a non-stick surface. Starch andfusibles wipe right off. Irons cotton, silk, denim, lace,sequins, puff paint, glitter and motifs without damage.Reversible. 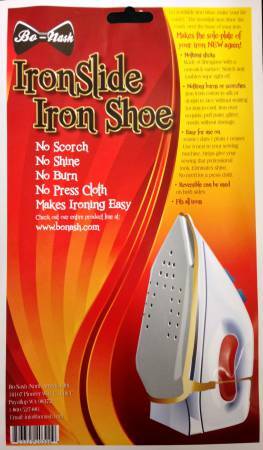 Fits most irons, max measurements 6in x 10in.